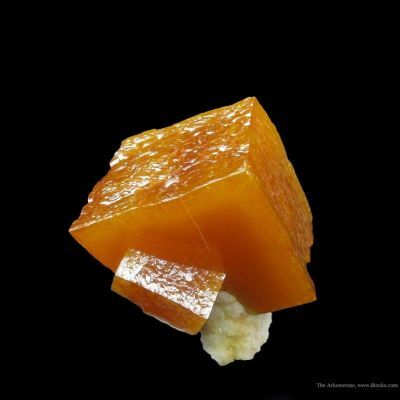 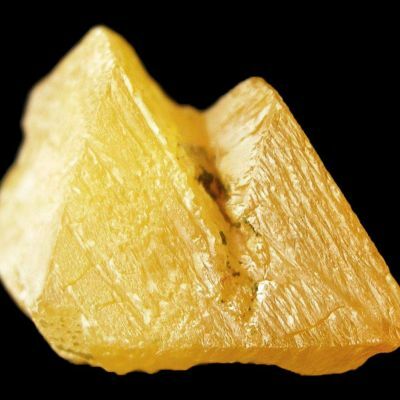 Massive white quartz is the matrix for a glassy and gemmy druse of micro-descloizite crystals upon which sit some remarkably isolated, tabular crystals to 1.8 cm across. 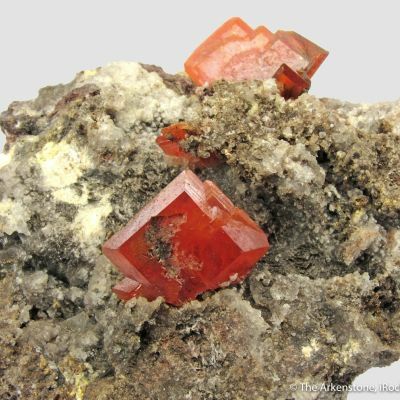 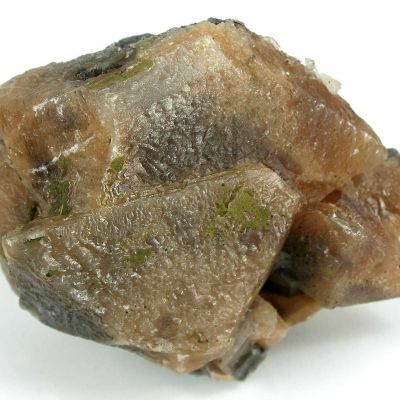 These wulfenites look like caramels! 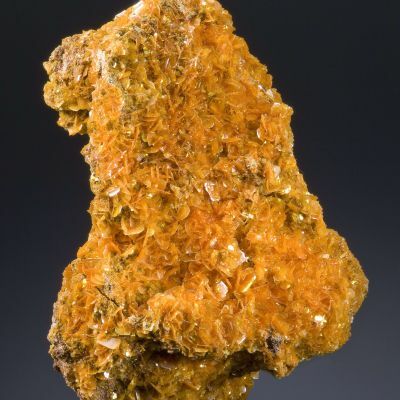 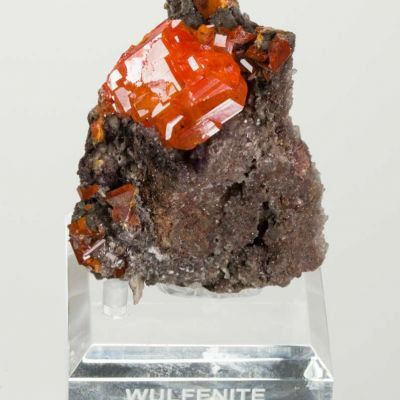 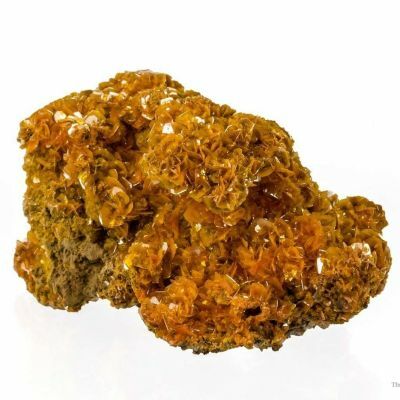 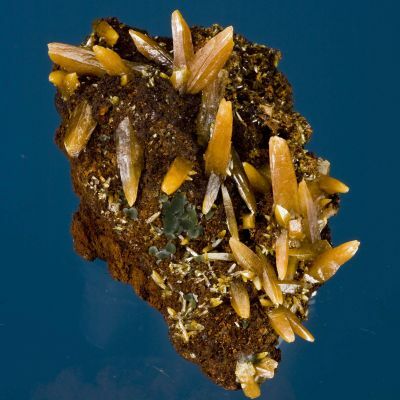 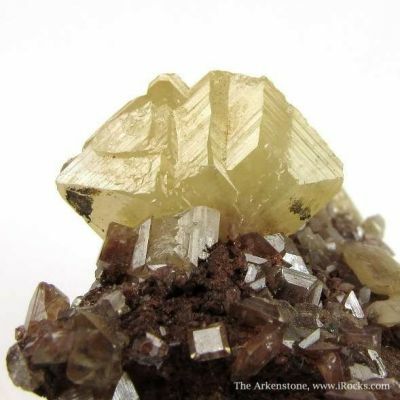 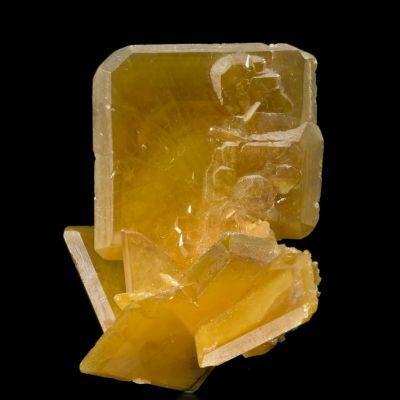 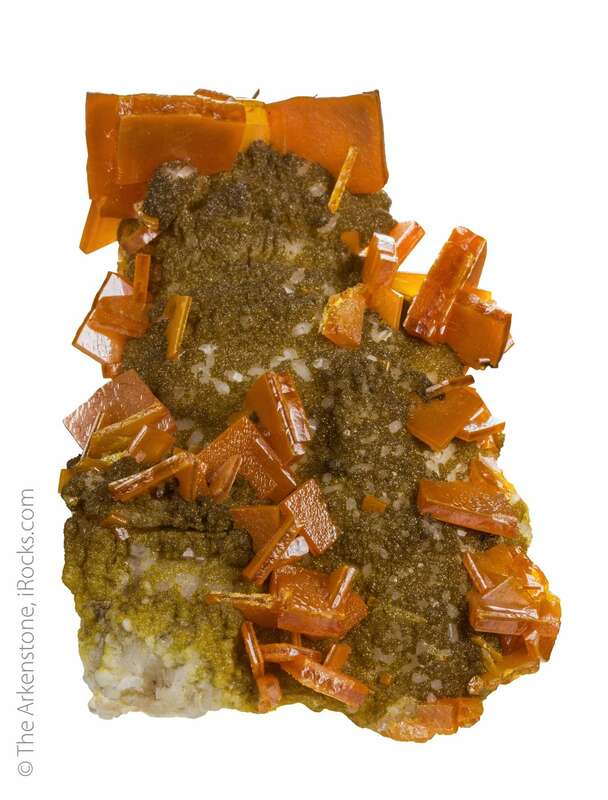 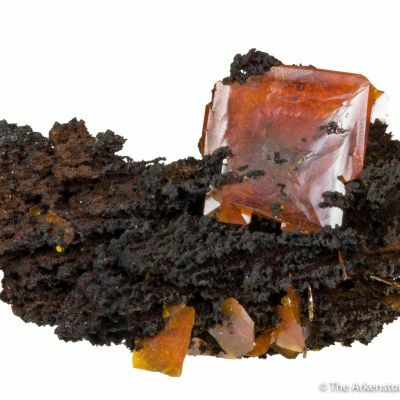 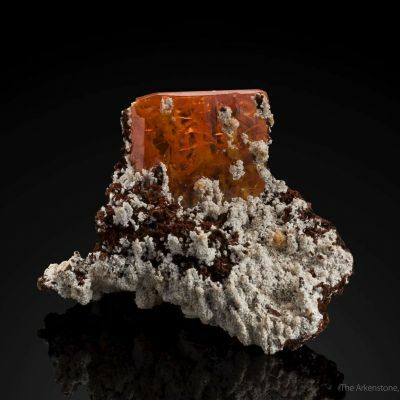 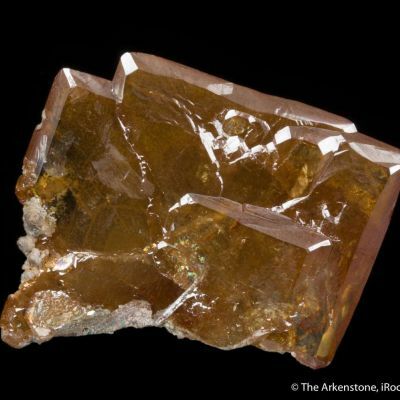 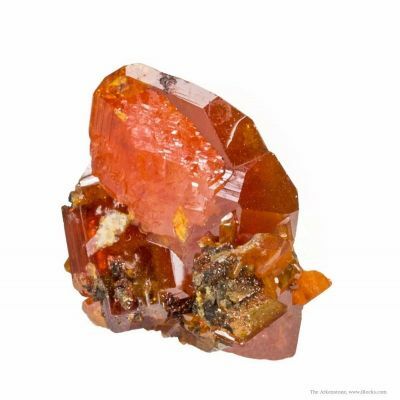 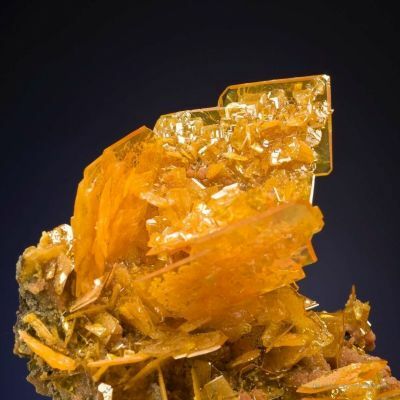 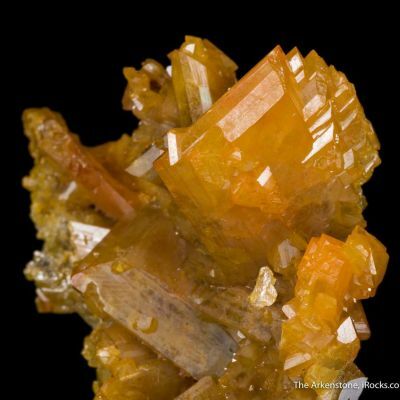 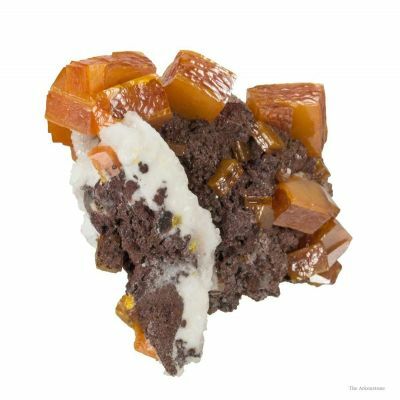 They are lustrous and translucent, orange-caramel colored wulfenite of a classic style. 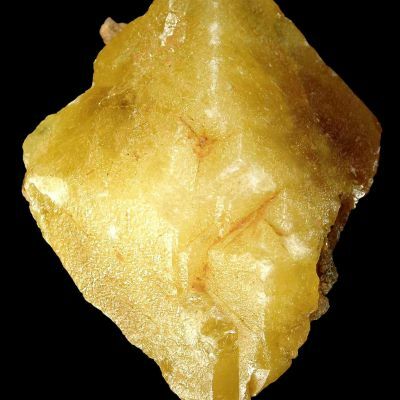 The piece is nearly pristine with only a few very minor broken crystals amidst the many complete and freestanding crystals here. 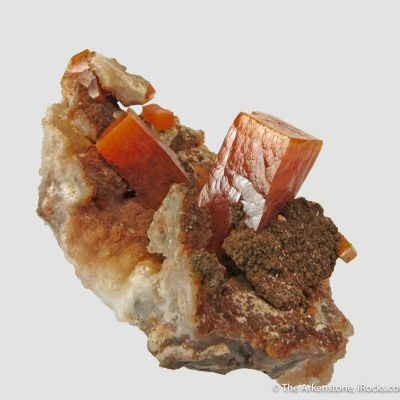 Fine combo specimens like this are normally much more expensive, but this came to me reasonably in an old collection! 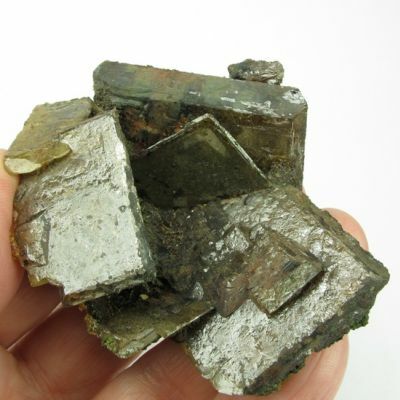 From the 1960s or early 1970s.